Sussex voices clinic is the only one of its kind in the UK and is paving a pioneering path. Most people who hear distressing voices in the UK will be offered antipsychotic medication. But if that doesn’t help to reduce the distress caused by voices, in reality they may not get much else. And if on top of that you are someone who doesn’t have psychosis or schizophrenia, the two conditions most commonly related to hearing voices, the fact that you’re hearing voices may not even be recognised. At the Sussex Voices Clinic therapists work with patients irrespective of their diagnosis, more than half living without psychosis or schizophrenia. And as soon as a randomised controlled trial of a therapy shows some effectiveness, no time is wasted in allowing patients to use it in the clinic. In many NHS services research and development departments can live separately from clinical services, but not here. “We’re really committed to this bridge between research and patient experience, the fact that it’s traveled across so frequently is quite atypical in a positive way,” says Dr Hayward. 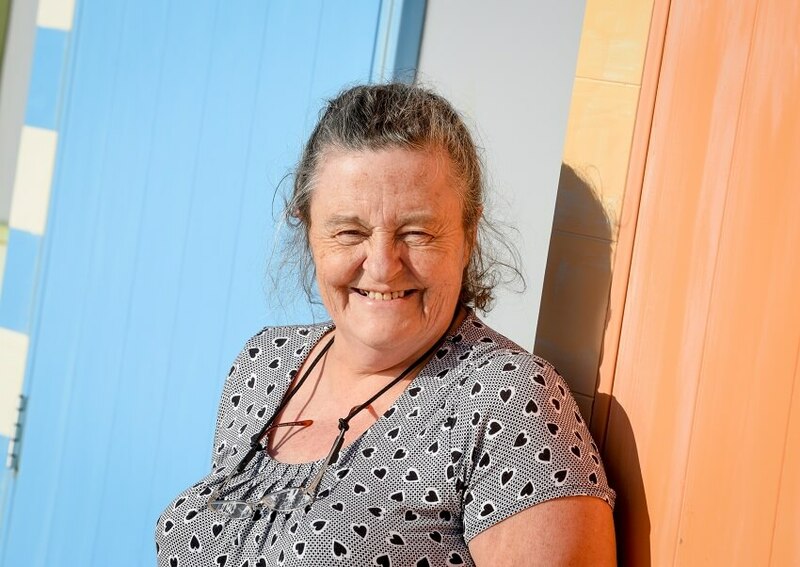 Sheila Evenden is a former patient at Sussex Voices Clinic: “Hearing voices is part of my Obsessive Compulsive Disorder – I have tried various therapies in the past that haven’t worked. The voices therapy for me has been a life changing experience in a positive way because before I didn’t know what was going on. “I could hear people I know talking to me. It was a constant dialogue that I didn’t understand. “Voices are with you from the moment you get up to the moment you go to sleep. They tell you to do things straight way, they threaten you. They tell you if you don’t do what they say something bad will happen. “I had no idea what to expect when I started the therapy and by the second session Mark was able to bring out the best in me. Therapy taught me to relate to the voices and helped me understand it was part of my condition. “I can now enjoy socialising and can cope with other problems. Without the therapy I know I would have ended up in hospital. The outcome has proved therapy has worked for me and has given me quality of life." Among other evidence-based therapies patients attend group mindfulness based therapy. “Mindfulness based therapy uses the principles of meditation to help patients to come off auto-pilot and buy them a moment or two before responding to the voices they hear,” says Dr Hayward. Feeling alone can prevent people from opening up about hearing voices but Dr Hayward also thinks the clinician's role is key. “Clinicians can feel anxious about people opening up about their experiences of hearing voices. It can be connected to past traumas, and there’s sometimes a concern about where conversations might lead,” he says. “But if clinicians are delivering evidence based therapies they can be more confident the conversation they are having will be therapeutic and beneficial. We help clinicians to develop this confidence by offering training, materials and supervision to support the delivery of evidence based therapies." Stigma also plays a large part in preventing people from accessing help. “Mental health problems are increasingly being talked about which is great but there’s a hierarchy of stigma. Unusual experiences associated with psychosis are at the thick end of the stigma wedge,” says Dr Hayward. Chandler, R. & Hayward, M. (2009). Voicing Psychotic Experiences: A reconsideration of recovery and diversity. Brighton: OLM/Pavilion. Escher, S., Hayward, M., Kingdon, D., Pembroke, L. & Thomas, P. (2005). Learning to live with voices. Mental Health Today, December, 18-20. Hayward, M., Blank, A., Chandler, R. & Bassett, T. (2007). Revisiting psychotic experience: listening hopefully. Mental Health Today, December/January.